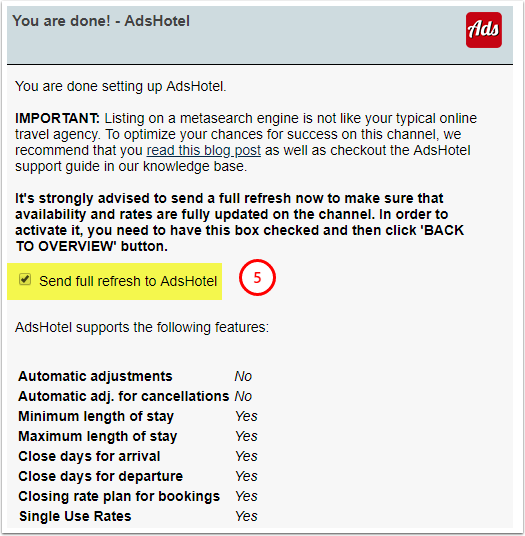 AdsHotel is Metasearch Platform that allows you to advertise your property on Google, Trivago, Tripadvisor, Kayak, and many other popular meta search channels. AdsHotel gives you a central dashboard to track your advertising performance, optimize your campaigns, and easily set your budget by channel. 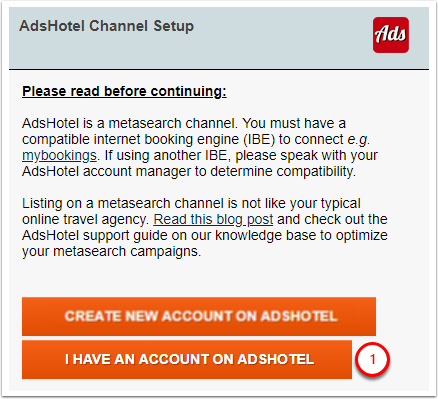 If you are new to metasearch advertising, Ads Hotels offers AI technology to help you make strategic decisions. Please note that advertising campaigns drive direct bookings to your property and require a compatible Booking Engine (e.g., Cloudbeds mybookings). Check out our blog post and the Adshotel website to learn more. 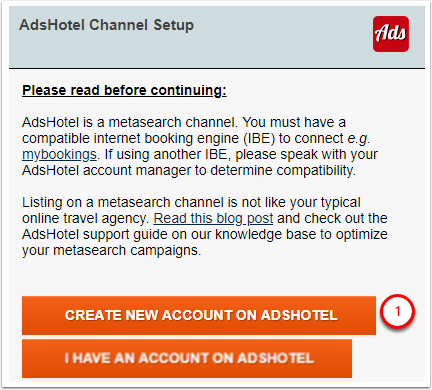 At this time, we cannot offer metasearch connectivity, like AdsHotel, for users on BookNow. Metasearch engines requires that Booking Engine URLs pass certain parameters and currently, BookNow does not meet minimum standards. 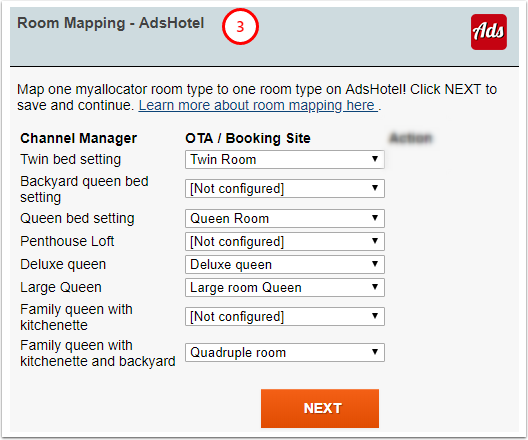 Find an alternate booking engine compatible with Adshotel - reach out to your PMS provider or Adshotel for recommendations on compatible bookingn engines. 4. 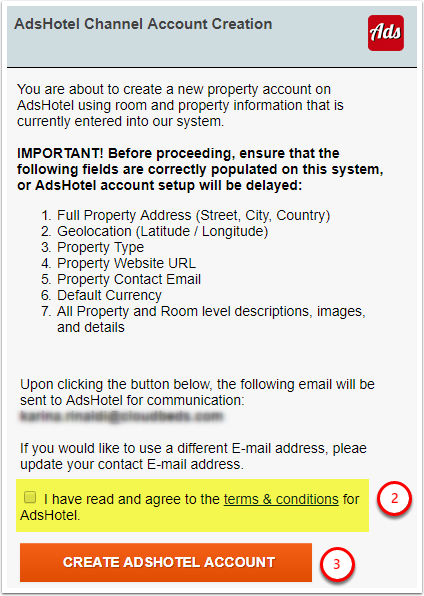 AdsHotel will contact you in the coming days with next steps - It may take 2-5 business days. If no one has contacted you within 2-5 business days, you may reachout to support@adshotel.com. 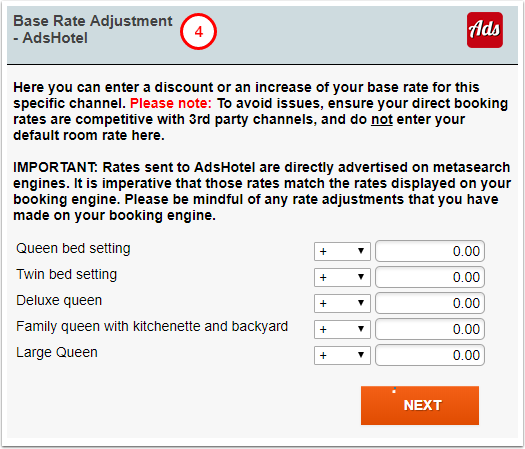 * Please note: it's recommended not to use base rate adjustment for AdsHotel: the search engines (supported by AdsHotel) will redirect your guest to booking engine which displays Base Rates by default. If the rate sent to search engine will be higher or lower than in your booking engine - it can cause confusion for your guests. 5. Done! Keep the box on the last mapping page checked to send Full Refresh to the channel. Is BookNow compatible with AdsHotel? BookNow is not compatible with AdsHotel at the moment. Metasearch engines requires that Booking Engine URLs pass certain parameters and currently, BookNow does not meet minimum standards. 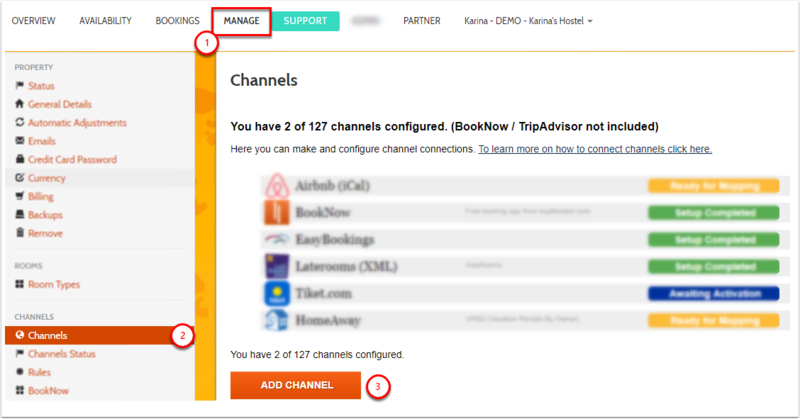 Connect with another PMS which offer a compatible booking engine - you can find several others in our channels list. We would suggest you to contact the PMS support team and ask them whether they can provide you with a compatible with AdsHotel booking engine.